was the former director of RSET is a Post Graduate in Social Work from the prestigious Tata Institute of Social Sciences (TISS), Mumbai. An active presence in the educational and social work spheres of Kerala, Fr. Jose Alex was the Principal of Rajagiri College of Social Sciences for 13 years (1st April 1984 to 31st March 1997). He has also served as a member of the Academic Committee of the Mahatma Gandhi University during his tenure in the University Syndicate. A farsighted visionary, his major contributions include the spinning off of the Rajagiri School of Management and the commencement of Rajagiri School of Engineering & Technology in the Rajagiri Valley Campus. 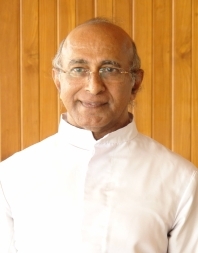 Bishop of Mandya (Syro-Malabar) and the former director of Rajagiri School of Engineering & Technology (RSET), Rajagiri College of Social Sciences (RCSS) and the Rajagiri Business School (RBS), is an eminent scholar and academician, with many laurels to his credit. A PhD holder in Sociology from the University of Pune, from where he completed his post graduation with first rank, he also holds Licentiate in Philosophy, and Bachelor of Theology degrees. He started his career as a lecturer in S.H. College, Thevara in 1974, from where he moved to Christ College, Bangalore in 1975. He was the Professor & Head, Dept of Sociology at Christ College for close to two decades, and the Principal, from 1989 to 1997. He then assumed the mantle of the Principal, Rajagiri College of Social Sciences, from 1997 to 2002. As a distinguished academician, he has served as the member of various academic bodies, including the Academic Council of the Bangalore University; Board of Studies in Sociology of Bangalore University and Calicut University; Board of Studies in Social Work of Calicut University; Senate of the Cochin University of Science & Technology; and Syndicate of the M.G. University. An avid researcher, he has several publications to his credit, including two books 'Church and Society in Kerala: A Sociological Study' and 'Thiruvayassu'. Bishop Antony Kariyil, C.M.I. 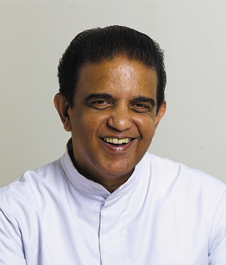 was elected the Prior General of the CMI congregation in 2002; after which he served as the Provincial Superior of the Sacred Heart Province and Manager of Rajagiri Educational Institutions from 2008 to 2011. Bishop Antony Kariyil's untiring efforts and hard work had been instrumental in the establishment of RSET. He has guided, supported and has shouldered a crucial role in the growth of RSET from the early days and continued to nurture the institution even when he was elected as the prior general of CMI congregation from 2002 to 2008.